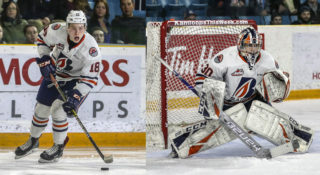 Kamloops, BC – The Kamloops Blazers will have two players that will attend Hockey Canada selection and development camps this summer. Jake Kryski will attend Hockey Canada’s U-18 selection camp. 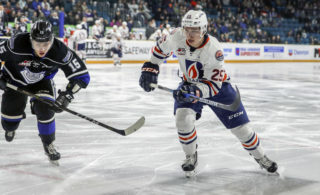 The soon to be 17-year-old forward had 11 goals, 13 assists and 24 points in 65 games this season as a 16-year-old with the Blazers. Kryski also played for Canada Red at the U-17 World Hockey Challenge in November 2014 where he had a goal and five points in five games. Hockey Canada’s U-18 selection camp will run from July 31st until August 4th at the Markin MacPhail Centre in Calgary. Of the 43 players invited to the selection camp, 22 players will be chosen for Canada’s National Under-18 Team for the 2015 Ivan Hlinka Memorial Tournament from August 10th – 15th in Breclav, Czech Republic and Piestany, Slovakia. Defenseman Nolan Kneen has been selected to attend Canada’s National Under-17 Development Camp from July 29th until August 4th at the Markin MacPhail Centre in Calgary. 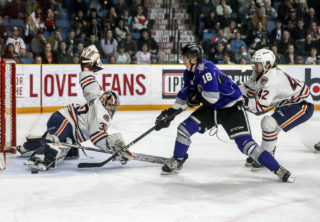 Kneen played this past season with the Okanagan Rockets of the B.C. Major Midget Hockey League compiling 10 points in 32 games. The 16-year-old also played five games with the Blazers as a 15-year-old player during the 2014-15 season and recorded one assist. 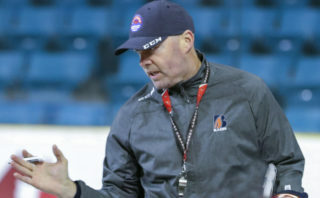 Of the 111 players invited to the summer development camp, 66 will be chosen to represent Canada on one of three national teams at the 2015 World Under-17 Hockey Challenge from October 30th until November 7th in a yet-to-be-determined host city.